The Amazon River is in South America. It runs through Guyana, Ecuador, Venezuela, Bolivia, Brazil, Colombia and Peru. The length of the Amazon River is about 6,400 kilometers (4,000 miles). During the wet season, the Amazon River can become more than 190 kilometers (120 miles) wide! There are no bridges that cross the Amazon River. Most of the river runs through rainforests. Matheus (MATH-use) and Adaias (AD-i-us) grew up in a small village named Rosa de Saron (“Rose of Sharon”). This village was located along the Amazon River. There were many happy things about living by the river. They enjoyed swimming together and looking for crocodiles. They liked to fish and to play games such as football (soccer) with their many cousins in the village (just about everyone in the village was related to everyone else). Even though the village didn’t have electricity, the children didn’t mind not being able to watch television or movies or play video games or go on the internet because they had so much fun playing together in nature. The village school had just one room, where all of the children from grades 1 to 5 crowded in, sitting at long wooden tables that served as desks. They had no books. During the four hours that they were in school, the students listened to the teacher and answered his questions. And they took turns writing on the chalkboard. This is the way that they learned to read and write and to do arithmetic. After they finished grade 5, they were done with school, unless they knew someone wealthy or had the money themselves to go to a big city—but that hardly ever happened. Another hard thing about living in the Amazon jungle was that if you got sick or if something bad happened to you like a snake bite or an accident, there were no doctors or nurses or hospitals where you could get help. Then one day in 2010, something exciting happened—a big boat came to Matheus and Adaias’ village! This boat was named the Luzeiro XXVI (26th) and there was a doctor, a nurse, a dentist, and a pastor who came to help the people. The Luzeiro XXVI is part of the ministry of ADRA (Adventist Development and Relief Agency). Matheus and Adaias had never seen such a big boat and they were happy that the Luzeiro XXVI would be staying in their village for many days to help not only the people who lived there but the people who lived in the many surrounding villages too. Every day Matheus and Adaias came to the boat. They became friends with those who were helping the people. 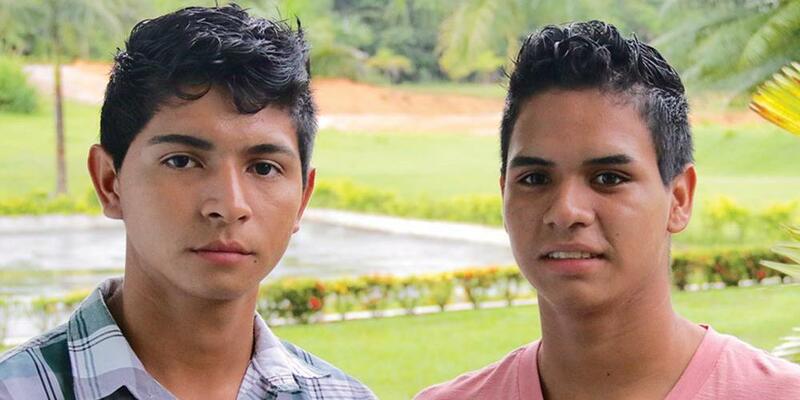 Matheus and Adaias wanted to help people too, so they became ADRA volunteers. They worked hard carrying wood and heavy bags of sand needed to build a new classroom for the children. Everyone could see how hard they worked. The boys were just finishing at their village school when one day the Luzeiro nurse asked them if they would like to learn more. “Oh, yes!” they replied. Then the nurse told them about a Seventh-day Adventist boarding school called Instituto Adventista Agro-Industrial (Adventist Agricultural-Industrial Academy)—but most people just call it IAAI (pronounced E-I). IAAI sounded like a wonderful place to Matheus and Adaias. They would learn many new things and live in a big house called a dormitory. And they would learn more about God. But neither Matheus nor Adaias nor their parents had enough money to send them to this school. What could they do?